In a world of digital comfort and online networking, social media marketing has become one of the best and most convenient avenues to bring in more business to a growing or already established company. Wineries are no exception, as they are able to dazzle old and new guests by creating charming online content filled with irresistible images of its finest wines and beautiful scenery. To be the best in the business, it is best to utilize the always evolving wine marketing styles. A new business has the ability to become successful not only through hard work, but also by following trends and reaching out to new and current customers on social media outlets. Here are some cool and modern strategies that most successful wineries follow on social media. The number one mistake that most wineries make is giving too much or too little information from the get-go. A winery typically offers many activities at the estates, so it is important to explain each one, and this can be done in a series of social media posts. The first goal is to establish a relationship with the potential customer, so it is important to engage the audience with fun and quirky posts about the different activities that are available. Whether it is tasting, estate tours, or simply a dinner for 2, the audience is going to want to know what sets this winery apart from all the others. Grabbing the attention of a new customer through a post on Facebook or a photo of an activity on Instagram is going to eventually increase foot traffic at the location and will help guests understand exactly what the winery has to offer. Hosting wine nights in local restaurants can create lasting professional relationships and bring in new business. Most one or two chain restaurants will jump on board with the idea because it presents the opportunity to offer something new to loyal customers while potentially establishing a new following. 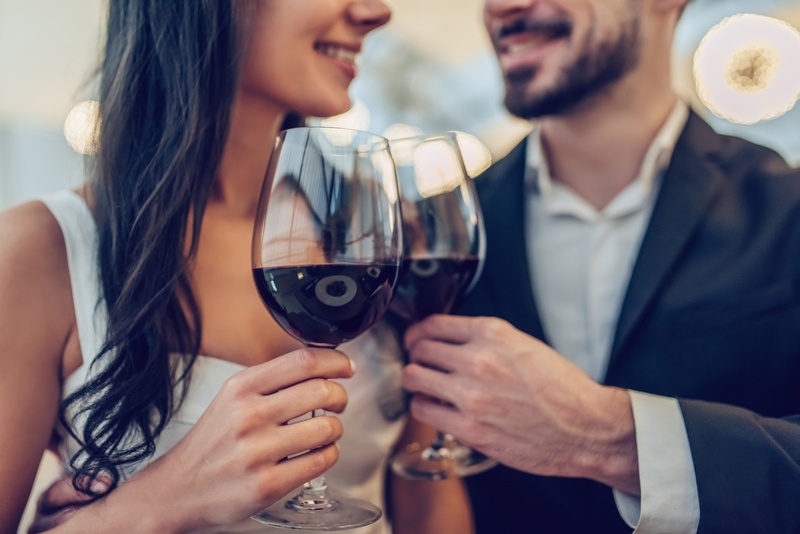 Social media will help to advertise these events by creating Facebook pages, sharing fun posts to get people excited, and connecting with the frequent restaurant guests that might not have originally know about the winery. Attract locals and tourists with new wine releases by offering tastings followed by a sunset dinner or another unique activity. Catch the attention of couples by offering 2-for-1 or group discounts only found on social media. Request that visitors share their experience on social media and offer an incentive, such as a percentage off a purchase, for doing so. Facebook events and pages can help attract tourists that are searching the web for fun and local activities, and it allows visitors to post reviews and suggestions for potential future guests. 4] Utilize Facebook Events to the Fullest! Wine and cheese go hand-in-hand, so naturally, we would suggest to host a wine and cheese pairing event on the property. Facebook events are going to be essential when promoting an event on social media, and it is important to grab the attention of the potential event-goer through a short, yet captivating, event title. People are attracted to creative content, so it is important to set your business apart from other businesses. Even though the law prohibits giving away free wine, there are other ways to create a brand recall and a loyal following, and that is through giveaways. Offering free merchandise with the company logo on it, such as wine glasses, fun t-shirts, hats, wine accessories, and other unique gifts, will help buyers want to come back for more. Keeping customer satisfaction as a priority will show visitors and guests of the winery that your business is in it for the long haul. Advertising these prizes and giveaways on Facebook will allow followers to share with their friends and keep them wanting more. One fun way to hold a giveaway is through an Instagram post. By asking your followers to tag a friend or two, the opportunity for growth is increased because more people are learning about the company. The easiest strategy is to give an allotted time, such as one week, for followers to enter. Randomly pick one of the commenters and thank them for entering! “User generated content” is known as content that is posted by an unpaid user, more commonly thought of as a fan, of the business. Mosts guests will share images of their experience on Instagram, and if your business isn’t already tagged, you can search for your location tag and any hashtags that are relevant to the business. By sharing and reposting your customer’s content on your social media outlets, you are creating a bond and adding a personal touch to your marketing strategy. Along with these 6 new ideas, it is also important that you dedicate a few minutes daily to respond to and engage with not only your followers but also followers of other wineries, local restaurants, and anybody else that might match your target market. Looking for an agency to manage your social media channels? We do social media marketing. Receive a free quote here.